Take a look at what I found in my mailbox the other day. 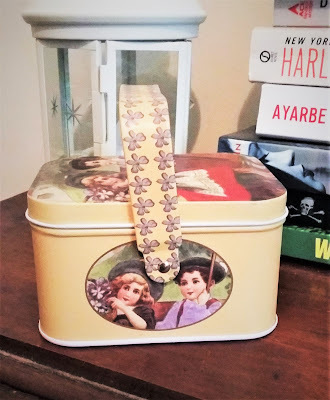 It's a little tin full of fabric clips. The kids on the tin are pretty darn creepy but the clips are fantastic! I just wish I remembered ordering them. I can't decide if I should be embarrassed or worried that I don't remember ordering them. And why in the world did I choose the tin with the creepy, chubby-cheeked, weird-eyed, lipstick wearing kids on it? I see Amazon has several different choices and some of the others are adorable. Oh well. Even though I have no recollection of ordering them, the clips are great and will come in super handy when sewing up sweater seams. I may even dig out my old Honeycomb sweater (last mentioned here) out of the UFO pile and finish it just so I can use the clips. So, what else have I been up to besides possibly shopping in my sleep? I've been shopping at Knit Picks. Something new and different for me. Ha ha. I finally ordered myself a new yarn bowl. My MIL had given me a ceramic one for Christmas years ago but it got dropped and a chunk broke off. I was able to glue it back together but it wasn't the smoothest of joins and the yarn would sometimes snag on it. Anyway, I'm now the proud owner of a beautiful and extremely smooth, snag-free, wooden yarn bowl. I'm also knitting another hat. My poor Etsy shop is practically empty and the Christmas shopping season is almost upon us. (Scary thought!!) 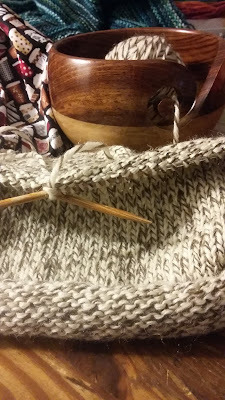 I need to buckle down and focus on knitting for the shop for the next few weeks. Poor Sarah. I'm never going to finish her blanket. Want to see what projects others are working on? Join me at the #CraftingOn link-up. I am doing a blanket for my youngest, but it has been pushed aside for sewing right now. She did comment on it last night, so maybe I should try to get a few more squares done! Personally I like the tin but ordered shoes that were completely not my size. It had to be a mistake, right? I just got the Knitpicks catalog and am afraid to open it. With the stress in the world and losing Max I think I might order three of everything. I like the tin it looks antique to me :) I am in hat mode but unfortunately I haven't knit much these days because of a house full of visitors. I have never heard of those kind of clips. I imagine they would be nice for sweater seams. Enjoy! 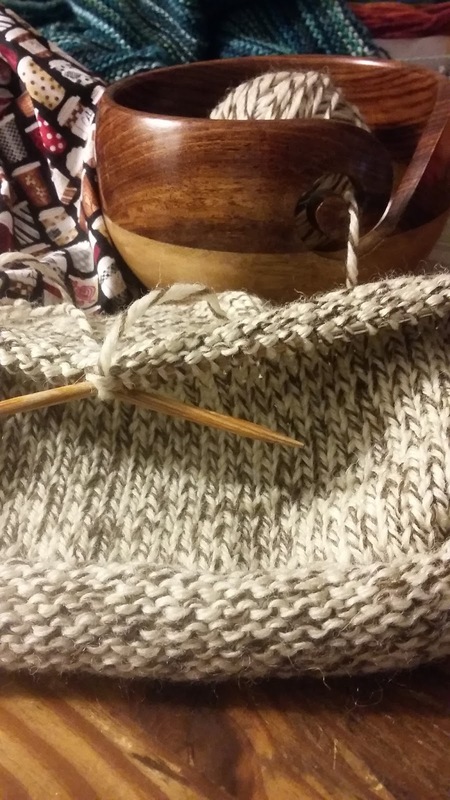 Oh, and knitpicks is such a help to my knitting!